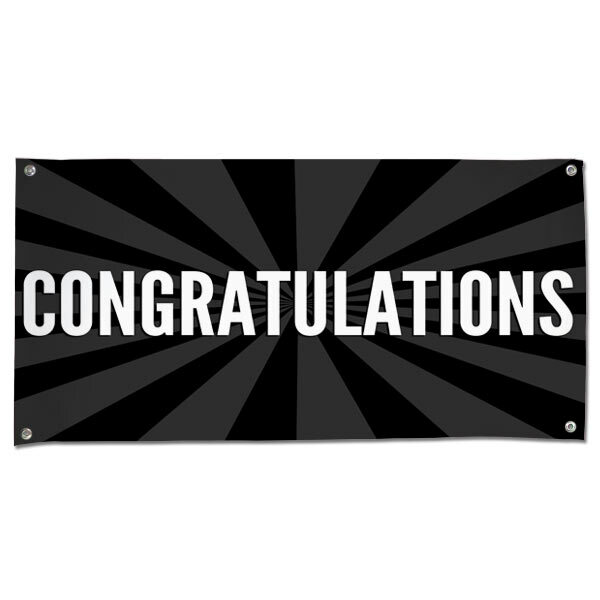 Whether it's a graduation, a job promotion, or an anniversary, our Congrats banner is a sure-fire way to commemorate the occasion! Furthermore, no customization is involved. Just pick a size and place your order! 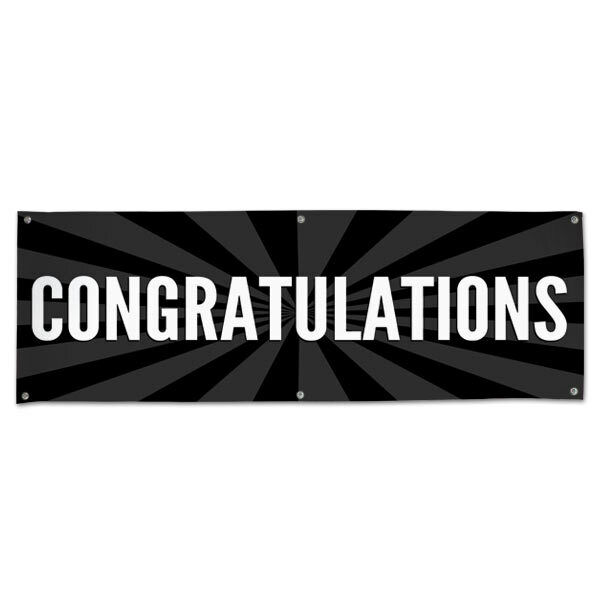 Our Congratulations banner is made from durable vinyl so it can be displayed both indoors or outdoors! 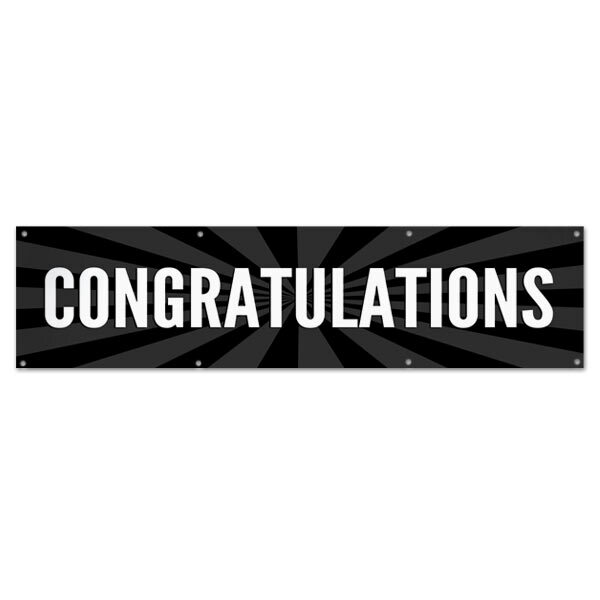 Make loved ones feel special for a well-deserved achievement while livening up your celebration's decor! Need something a little more tailored? Our paper banners and vinyl banner with pictures also make a great addition to any festive occasion! Upload your favorite pictures, add text, and choose from a wide range of templates that feature a variety of colors and patterns!